PLovdiv Mayor, Slavcho Atanassov, called off all celebrations on the occasion of the 124th anniversary of the Unification of Bulgaria, Sept.6, which also is the Day of Plovdiv. 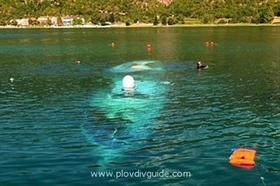 The reason is the death of Bulgarian tourists who drowned when their tourist ship sank in the Ohrid Lake. All flags on the Plovdiv Municipality building will be put at half mass.